The wines were all excellent. Perfect with chili and bbq chicken sliders and all the rest. The game, and the commercials were good this year. On the commercial side, at least there weren’t many cringe-inducing commercials, and a few good ones. The Fiat commercial with the little blue pill sticks in my mind as one of the good ones. Fortunately I can’t remember any of the bad ones. 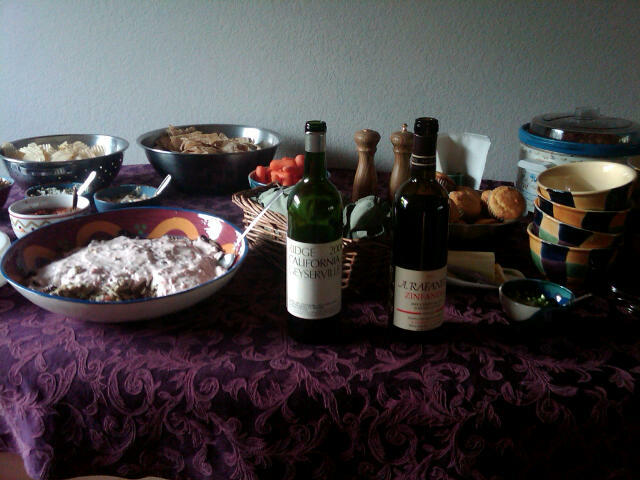 This entry was posted in wine-food pairing and tagged A. Rafanelli, Geyserville, Ridge, Superbowl, zinfandel on March 1, 2015 by vvblogman.